Director Alba Sotorra follows YPJ Commander Arian and her group of female fighters into the heart of the Syrian War, as they break through the siege of Kobane on an epic mission to liberate their lands from ISIS. Hit by 5 bullets, Arian is forced to deal with the wounds of war - both visible and invisible - and to find new ways to fight for women’s freedom. 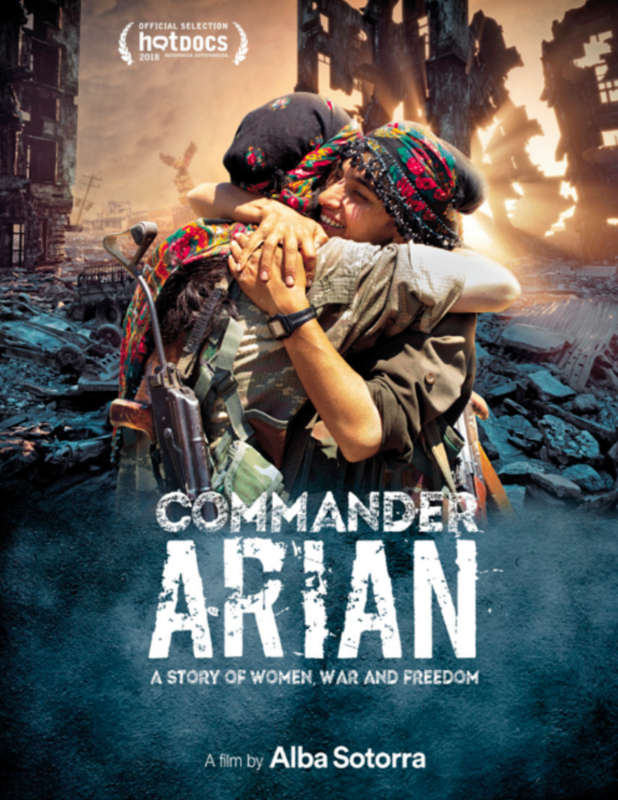 Commander Arian - A Story of Women, War and Freedom is also screening on Monday April 30 at 10:30am at TIFF Bell Lightbox 2 and Sunday May 6 at 6:15pm at the Aga Khan Museum. Director Alba Sotorra and Producer Stefano Strocchi will be in attendance for a Q&A at the April 29 and April 30 screenings.